Choosing the perfect faucets for you is not as easy as it seems to be. Picking the right faucets takes more considerations than its price and appearance. There are various details and considerations that you might not have thought of before that might be significant when you are picking commercial style faucets. However, here is an accessible and straightforward guide to help you choose the perfect one. First, you need to consider the interior design style of your home, the general look of your kitchen, as well as the style of your sink. It will be easier for you to look for the right form of your faucets that compliments your kitchen or your bathroom. Be creative and decisive with your choices to prevent future complications. Faucets spouts vary both in height and reach. Commercial style faucets with a high arch are becoming a trend nowadays. However, you need to consider your area and space before riding on the trend. This is crucial to consider, especially when you intend to have different uses for your kitchen sink and bathroom sink. Accessibility and ease of use should be among your primary concerns, that everyone who uses the sink, especially visitors, will find it convenient. Height is typically necessary for cleaning and other uses. Choosing the right height is essential to allow you all the things you needed to do with convenience. 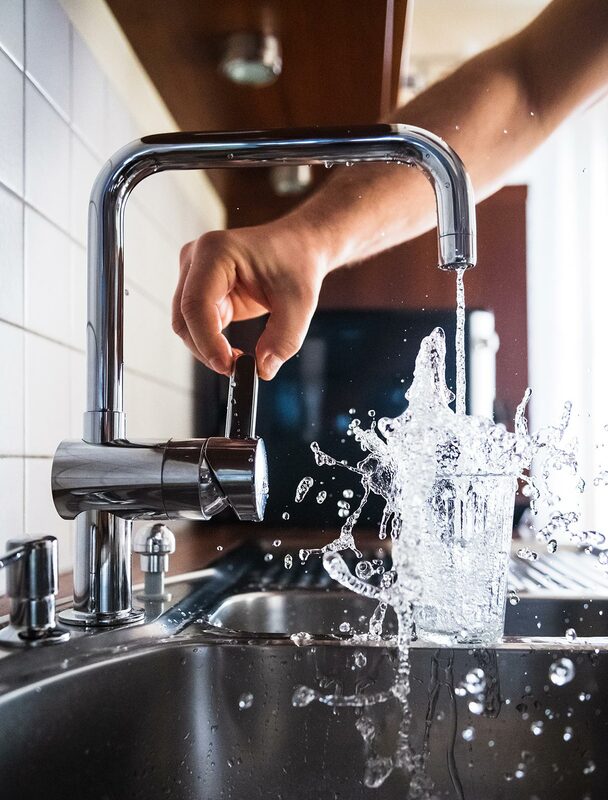 The height of a faucet mostly affects how you wash cooking utensils such as pots and pans since you would need enough space to scrub and rinse them. The height of your faucet will also matter if you intend to rinse your hair on the sink, for instance after you’ve colored your hair. If you have multiple sinks in one area, be sure that your faucet can reach them without difficulty. If you have a big or wide sink, then you surely would prefer having water spill in the middle than the edges. This is also to prevent water from splashing out and wasting it. Chrome is the most popular and the favorite of many. It is because it is easier to clean and keep neat. If your faucets are designed for heavy use, then chrome is the best choice as it can withstand wear-and-tear longer than any other kind of finish. Nickel finishes or brushed metal are durable and long-lasting. They are, however, harder to clean. It is because this type of finish is prone to fingerprints and watermarks, stains or smudges. However, they go along well with modern stainless sink. Bronze faucets typically have a brownish color or an oiled tone. Its surface is not metal but a coating, and it is resilient and doesn’t quickly get scratches. Some people prefer bronze faucets over stainless steel because of its convenience and easy-to-clean feature. Old types of faucets mostly have two handles to control the water flow and temperature. 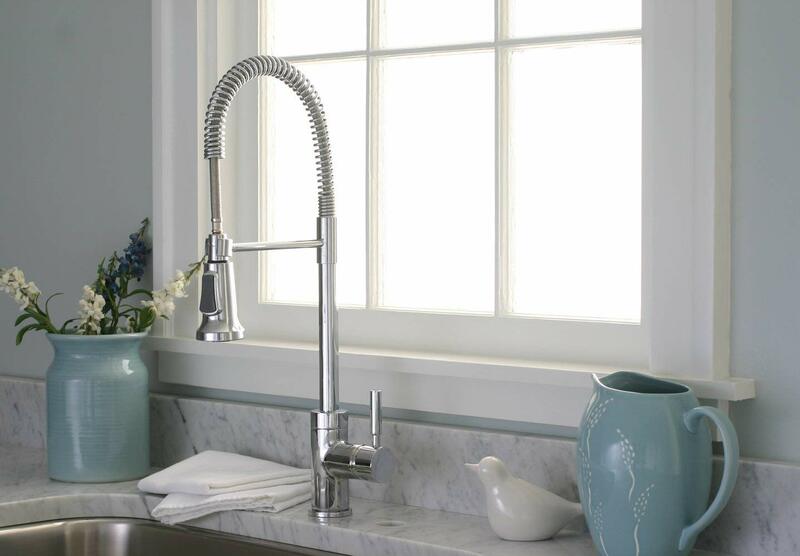 In selecting the right faucets, you need to manage the water, especially when cooking. Modern faucets usually have single handles instead of two, which makes them more practical to use as a single handle lets you control the water temperature in a more convenient manner. In deciding which faucets to pick, the sprayer is also one of the features you need to check. Some faucets have side sprayers, which can be considered a hassle. Pull-down sprayers are much more reliable and effective than old side sprayers as the button on the faucet’s head, which you would press to spray on and off, makes it easier for the users. Life is full of choices, and the same is true when choosing your faucets. You can get some additional features such as a pot filler or a filter or other extras depending on how you will use your faucet. However, some of these features may also require another hole in your sink, so you have to carefully select whether an additional feature would suit your sink. In determining which commercial faucets to buy, you of course need to consider your budget. The qualities and other details you needed should match with your purchasing power. While it is good to invest with a good faucet, remember not to spend too much. With all of these considerations and details you need to attend to, you should take time in selecting the faucet that best suits the style of your bathroom or kitchen, and the purpose for which you intend to use them. Consider as well if you need extra features, and if your budget matches with your choice.